Every year on the 17th March, people gather all over the globe to celebrate the Irish holiday, better known as St Patrick’s Day. This year it was no different and it fell on a Tuesday. Usually Tuesday nights are quite quiet for most people but this Tuesday was an exception, considering most pubs were crammed full of people making the most out of this day. Since the original Irish holiday became global, the celebrations have climbed the scale – for a day that used to be relatively quiet, we have all adopted the popular American way of celebrating it with a ‘few’ pints. Of course, WCE and our students weren’t going to miss out on the fun so we headed to the popular Irish pub, O’Neills at 6pm to have a couple of pints of Guinness (Irish dry stout and one of the most successful beer brands in the world!) and have a go at some Irish dancing to Irish folk music. O’Neills was absolutely packed making it quite warm but this was nothing a fresh beer couldn’t cure PLUS the party atmosphere was infectious and everyone was enjoying themselves. The Guinness (and the cider for me) got us all in a talkative mood and English conversations flowed easily. Given the lack of space there wasn’t much dancing going on apart from sidestepping but some of us, including myself, still had a guess of what exactly Irish dancing was. Unfortunately, I was informed that I was doing the wrong dance and had transgressed from Irish dancing to Russian dancing, which was quite amusing for everyone around me. 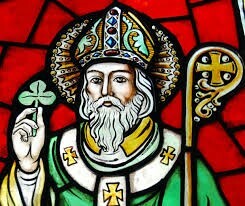 But this is what St Patrick’s is all about now – it’s about letting your hair down, being merry and attempting to dance. After all, everyone is Irish one way or another on St Patrick’s Day. Interestingly, one of our students asked why St Patrick’s Day is celebrated and what it’s all about. I suppose that days dedicated to saints are quite a common thing in more religious countries such as Italy, Portugal and Spain but you wouldn’t really think of Ireland as religious would you? 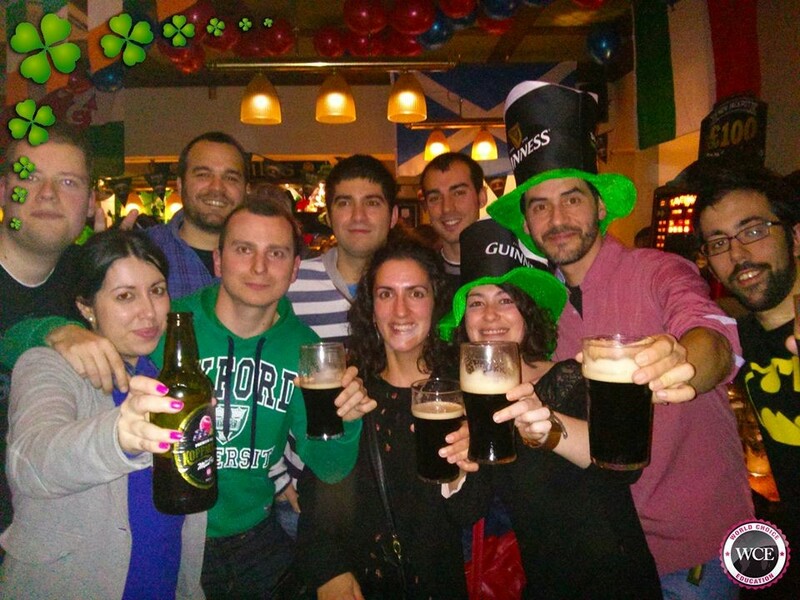 St Patrick’s is an exception and just like Santo Antonio in Lisbon and San Isidro in Madrid, people have different ways of celebrating this day dedicated to these patron saints and generally these celebrations include drinking and some sort of dancing. Obviously, St Patrick’s Day has been internationalised, namely by Irish immigrants in the US. St Patrick is the patron saint of Ireland and it is believed that he died on the 17th March around the 5th century but it was only declared a religious holiday in the 17th century when the Vatican recognised the day in 1631. It’s the official public holiday in the Republic of Ireland and Northern Ireland but did you know that it was only made a public holiday in 1904. Of course, it was celebrated in the 19th century by the Irish elites with a nice SOPHISTICATED ball in Dublin but not to the extent it is celebrated today. Nowadays almost everyone takes to the streets for parties and most importantly pub-crawls where a great amount of Guinness is consumed in celebration of the Irish festival. 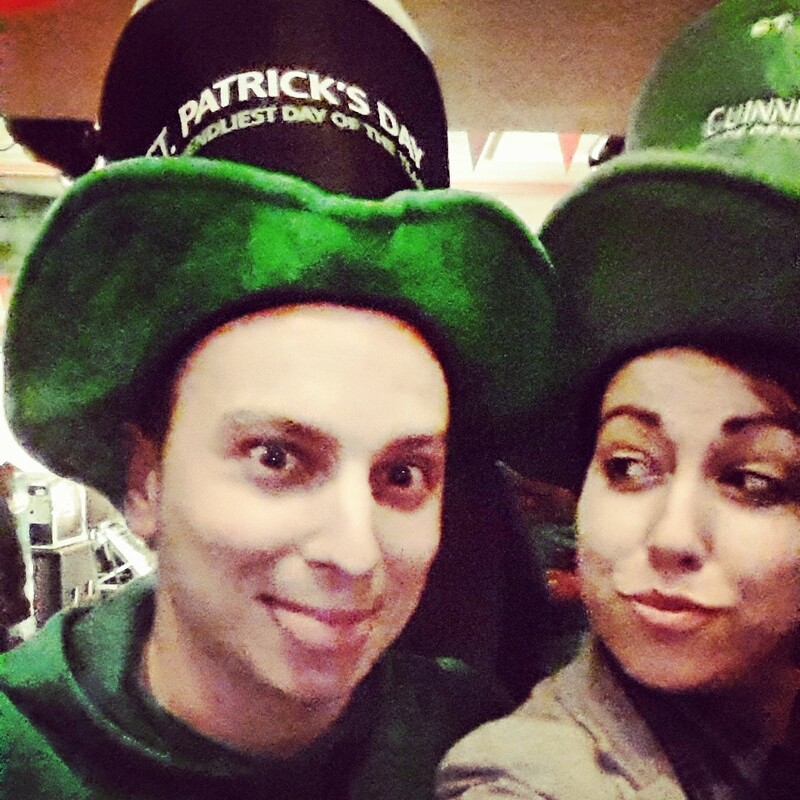 In fact, did you know that more than 13 million pints of Guinness are consumed on St Patrick’s Day worldwide? Imagine how much money they get from this festival alone but I reckon as long as everyone is happy and enjoying themselves on this day that’s all that matters. By worldchoiceeducation in The UK on March 19, 2015 .